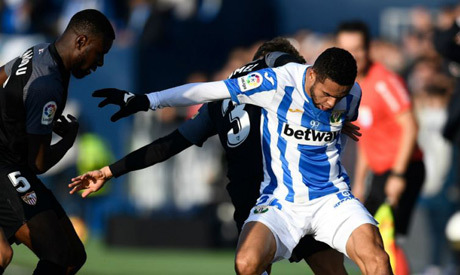 Morocco striker Youssef En-Nesyri scored all the goals as Leganes beat Real Betis 3-0 in the Spanish league on Sunday. En-Nesyri struck first for midtable Leganes when he was left all alone after a corner in the 22nd minute. He tapped in a second goal in the 36th and reached his hat trick on a counterattack in the 66th. Sixth-placed Real Betis finished with 10 men after Javi Garcia was shown a late direct red card for a hard foul. Also, Valencia was held 0-0 at home by Real Sociedad.